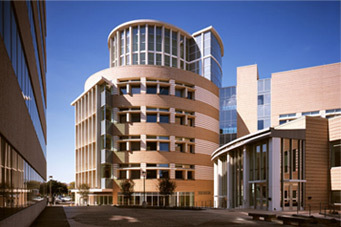 Since 2002, the George P. and Cynthia Woods Mitchell Institute for Fundamental Physics and Astronomy has attracted eminent experts (including world-renowned Cambridge University theoretical physicist Stephen Hawking on four separate occasions) to Texas A&M for major conferences and events exploring big-picture issues in many vital areas that encompass its dual chief objectives of fundamental physics and astronomy. In addition to serving as home to theoretical and experimental physicists searching for answers to some of the universe’s biggest puzzles from dark energy and dark matter to supersymmetry and string theory, the Institute houses the university’s burgeoning astronomy program. A decade after George made his first million-dollar gift intended to help transform Texas A&M University into a world leader in fundamental physics and astronomy, he pledged a $20 million legacy gift in late 2012 to continue to support the work of some of the world's top scientists as they explore the universe’s most complex questions.